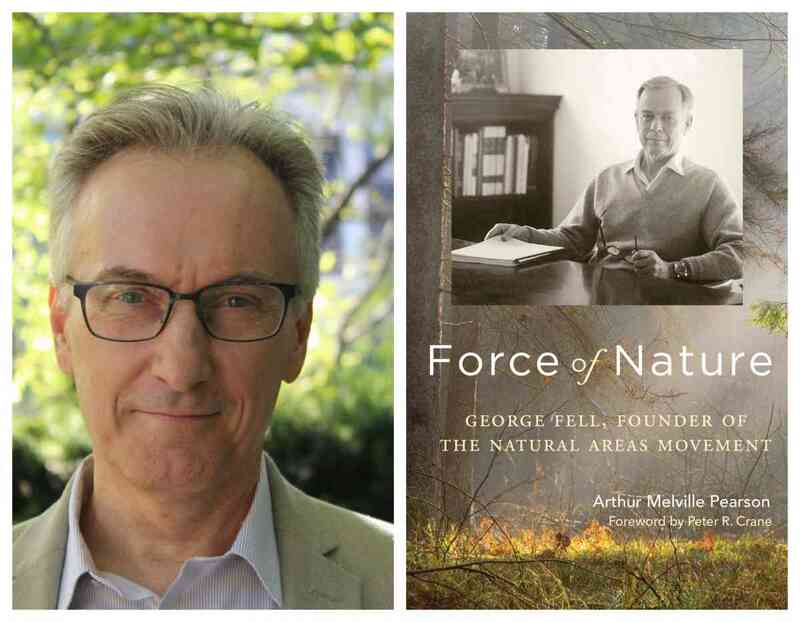 Arthur Melville Pearson discusses Force of Nature: George Fell, Founder of the Natural Areas Movement. He will be joined in conversation by Sarah E. Fredericks. A Q&A and signing will follow the discussion. About the book: Efforts to preserve wild places in the United States began with the allure of scenic grandeur: Yosemite, Yellowstone, the Grand Canyon. But what about the many significant natural sites too small or fragile to qualify as state or federal parks? George Fell was determined to save these places, too–prairie remnants, upland forests, sedge meadows and fens, ocean beaches, desert canyons, mountain creeks, bogs, caves and gorges, and the full spectrum of other habitats essential to biological diversity. About the author: Arthur Melville Pearson is the director of the Chicago Program at the Gaylord and Dorothy Donnelley Foundation, where he guides the Foundation’s investments in land conservation, the arts and archival collections. His writing about conservation issues has appeared in a wide variety of publications and he frequently contributes to the Center for Humans and Nature’s City Creatures blog, as well as his own blog, A Midewin Almanac – a chronicle of his volunteer restoration efforts at Midewin National Tallgrass Prairie. Force of Nature recently received an Outstanding Achievement Award from the Illinois State Historical Society. About the interlocutor: Sarah Fredericks is an Assistant Professor of Environmental Ethics; affiliated faculty member of the Program on the Global Environment and the Center for the Study of Gender and Sexuality; and a faculty member in the Divinity School at the University of Chicago. Professor Fredericks' research focuses on sustainability, sustainable energy, environmental guilt and shame, and environmental justice; her work draws upon pragmatic and comparative religious ethics. She is the author of Measuring and Evaluating Sustainability: Ethics in Sustainability Indexes (Routledge, 2013). Professor Fredericks is currently working on a book about the ethical dimensions of experiencing and inducing environmental guilt and shame, particularly about climate change.